SYCAMORE TWP., Ohio - When the weather warms up and students get to go outdoors for field day, special-needs kids usually sit on the sideline. 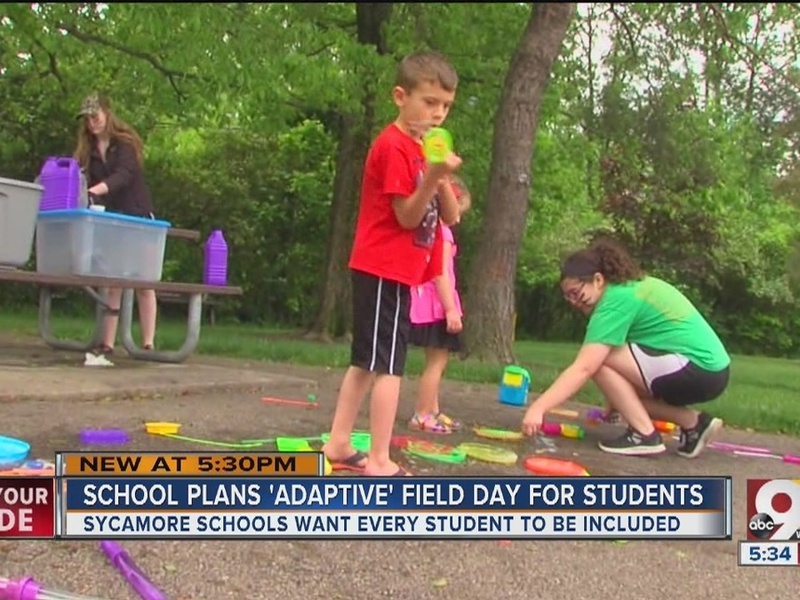 But not at Sycamore Schools, where they get their own "adaptive" field day. "Most of the time, the kids with special needs are set on the side and they don't really modify the activities for them very well, so this is a day just for them," said organizer Paula Anstaett. The event gives the students -- many of whom have trouble communicating -- a chance to have fun and make new friendships outside their regular circles. The day also helps break down barriers. "Everybody wants to feel loved. And cared for," Anstaett said. And it dispels any notion of dividing differences. "It gives them self-confidence. It makes them want to do more. You see them trying more and doing more," Anstaett said.